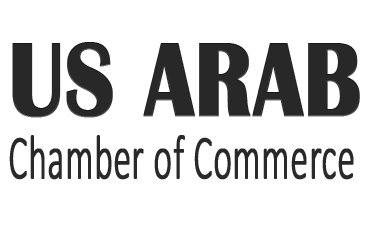 The US Arab Chamber of Commerce (USACC) is a nationally recognized chamber, located on Dupont Circle, Washington D.C., with a mission to serve U.S. businesses that export products or provide services to the Middle East. There is no need to become a member to use the services of USACC. Affixing the Great Seal stamp of the chamber as required by Arab countries (same day service). 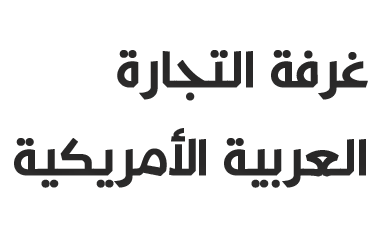 Business document authentication from the U.S. Department of State & all Arab embassies. Embassy certification for shipping documents (Invoice and Certificate of Origin). (C/O & C/I are accepted online (PDF format) for processing at most embassies). 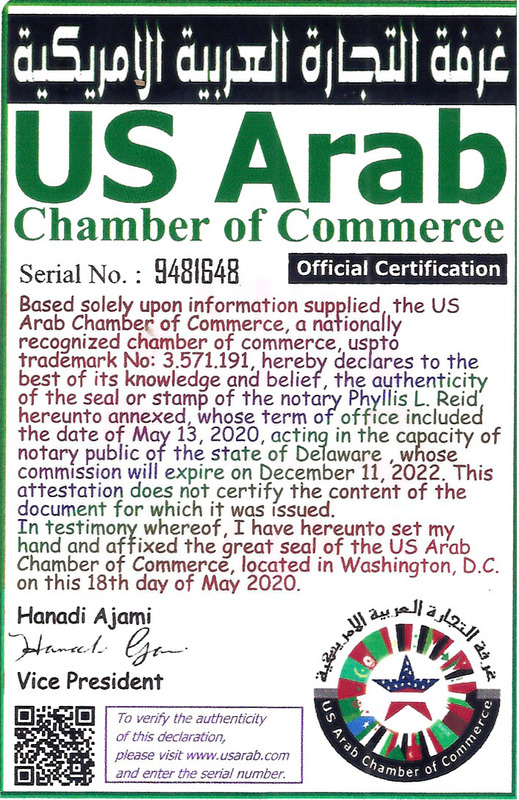 USACC is officially recognized by “The Arab League” to affix the US Arab Chamber Great Seal Stamp as required by Arab countries. Products shipped to Arab countries without the official seal stamp of the U.S. Arab chamber may be held in customs until the stamp is placed. Also, most service/agency contracts require the USACC Seal in order to be registered at Arab chambers overseas. Every stamp has a unique number. Government officials may verify the authenticity of each stamp online. The stamp fee is $35.00 per document based on same day service. If you are only interested in obtaining the USACC stamp, please click on the “Start” button below to complete and print a request for service to be mailed with your documents. 2. Business Document Authentication from the U.S. Department of State & all Arab Embassies. The US Arab Chamber of Commerce is now offering full expedited document authentication and legalization services for a minimal fee. (Includes chamber stamp, US Department of State, and all Arab embassies). Please click on the “Start” button below to see the processing cost, approximate time, and any specific requirements for each country. 3. Embassy Certification for Shipping Documents (Invoice and Certificate of Origin). Certification of shipping documents to Arab countries is the main function of the chamber. USACC was originally formed to provide this essential service for U.S. businesses exporting goods to the Middle East. To decrease processing time, USACC aligns with most Arab embassies in accepting shipping documents (C/O and C/I) in PDF format via email. Upon receipt, the invoice or certificate of origin will be stamped and delivered to the required embassy. Please click on the “Start” button below to see the processing cost, and approximate turnaround time for the C/O and C/I per country. You are unable to add documents to the same invoice that contains a shipping document. Please create a new invoice for each type of documents. How to request the chamber's stamp? USACC urges customers to include a request form which can be printed from our website. Start by clicking on the desired country name, and you will be directed how to complete your request. Our new computerized system automatically e-mails customers when their package is received, and again when their completed documents are shipped back.